In examining the nature of this relationship, it is necessary to first define what we mean by methodology. In this context, methodology is a term larger in meaning than methods or techniques. It is the whole intellectual resources with which a scholar approaches a particular mode of enquiry and analysis. This complex of intellectual resources include the philosophical orientation to the subject and the technical devices by which the enquiry and analysis are carried out. The point here is that in determining whether historical research methodology is autonomous or a genre of social sciences, we should concern ourselves not only with the techniques of data collection but also with how historians and social scientists conceive social reality, the nature of the sources of their evidence, how the character of their sources influence their analyses sand interpretations, and finally the uses and abuses of history and social sciences. History does nothing, it possesses no immense wealth, fights no battles. It is rather man, real living man, who does everything who possesses and fights. However, it is important to point out that the time scale within which the historian operates is somewhat different from those of the social scientists, although they are not totally unrelated. Historians tend to be more concerned with social reality in the past. The farther away the reality exists, the more comfortable the historian. In fact, the orthodox historian position is that the historian who writes contemporary history make himself vulnerable to all sorts of accusations. On the other hand social scientists preoccupy themselves with social events of contemporary nature. We must, however, hasten to add that in their analysis of contemporary social events they feel the need to explore the historical roots of the present. This is grounded on the recognition of the fact that present is structurally linked with the past and the future. This position too is not strange to a historian with a theoretical or philosophical frame of mind. For instance, the English historian, E.H. Carr characterizes history as a continuous process of interaction between the historian and his facts, an unending dialogue between the present and the past. This definition was later to be improved upon by Isaac Deutscher for he characterizes historical interpretation not only as a dialogue between the past and the present but between the past and the future. Another area in which social and historical reality converge is that social reality like historical reality is conceived not as the action of an isolated human being but of man as a social being with ramified interpersonal and inter group relationships. The object of the historian inquiry is not about isolated individuals but of what T.S. Elliot calls “vast impersonal forces.” History is not a dialogue between abstract and isolated individuals but between the society of today and the society of tomorrow, of the relation between “great men and not so great men but also about the intersection and interpenetration of the biographies of several individuals and group of individuals in the society. In social sciences, too, that is how social reality is conceived of as well. In popular social science parlance “No man is an island, entire of itself.” Durkheim, for instance, in his well-known study of suicide, has convincingly shown that suicide is by no means independent of social conditions. Moreover, there is the conception of social reality as processual and structured and not as static and monolithic. Precisely, in history and the social sciences, the subject and the object belong to the same category and interact reciprocally on each other. Indeed, Carr has characterized historical reality as a “moving procession, made up of many groups, interests and factions to which the historian or social scientist belongs as a member but which he also observes from the sideline. New vistas, new angles of vision, constantly appear as the procession and the historian with it moves along. The relationship of the historian or social scientist to historical or the social process is that of “participant-observer.” This has implications for historical analysis and interpretation. First, the historian or social scientist cannot give a comprehensive information for the point in the procession at which he finds himself determines his angles of vision. Second, the point of view of the historian or social scientist enters irrevocably with every observation he makes and “history is shot through and through with relativity”. In sum, the social scientists’ relation to social process makes it impossible for social analysis to be value free. Moreover, there is also the volatile nature of social reality represented in the nature in which social events are enacted. They are enacted once and for all and they cannot be repeated at the request of the historian or the social scientist. Neither are they amenable to persistent observation. For instance, the historian and the social scientist interested in the causes of the fall of Old Oyo Empire and the Oil-glut of the 1980’s respectively cannot play back the events. The implication of this for analysis and interpretation is that they have to make use of the fragmentary information available in the present. Here, imagination plays a major role. From the discussion so far, it is clear that the nature of evidence that the historian and social scientist seeks is substantially determined by their conceptualization of social reality. First of all, a great deal of evidence that is available for their use is indirect evidence about the reality they are studying. It is not evidence that they themselves collect directly as the phenomena they are studying are being enacted but evidence that have survived from the particular social events they are studying. They are sometimes in the form of written documents, oral evidence of others and the material remains of culture. However, they also use evidence dealing with events which they have direct experience. The second major characteristics of these sources is that the evidence contained (in all these sources that we have mentioned) is by nature fragmentary, essentially imprecise and constitute only a small fraction of the totality of events enacted. The main factor involved is the inherent selectivity of the human memory in the recording and preservation of social events. People who put the evidence into record select things which strike them forcibly. Since the sources have been pre-selected and pre-programmed, the issue of analysis becomes problematic. It is a truism to say that it is not possible to make sense out of the collection of unrelated fragments’ of evidence that are available to the historian or the social scientist without the researcher having a theoretical framework, be it explicit or implicit, i.e., the philosophical and moral predispositions about human beings, society, their notions and interactions, among others. It is in the process of sorting out their analyses and interpretations that both the historianand social scientists are forced to raise philosophical questions about social reality and try to find answers to them. For instance, they both raise theoretical questions on the nature of social facts, and it is such questions that provide answers to the various schools of thought, the Correspondence, the Coherence and the Relativists. Other philosophical questions they often raise concern the primacy of either the individual or collective in the society, the relationship between free will and determinism, the issues of causal explanation in history, the issue of idealism and materialism, among others. These are questions which historians and social scientists confront in their research. The techniques and methods of data collection in history and social sciences are similar. These are two major data techniques. First, library and archival study. Second, collection of oral evidence. Historians and social scientists do not treat their source materials cavalierly. They do not make a fetish of written and archival materials. Both are aware of the act that “no document can tell us more than what the author of the document thought – what he thought had happen, what he though ought to happen or would happen, or perhaps what he wanted others to think he thought, or even only what he himself thought he thought.” The facts whether from the documents or not are deciphered and processed by the historians and social scientists before they make use of them. Similarly, oral data are also subjected to critical analysis and interpretation by social scientists and historians. They do not take oral evidence at their face – value but as raw materials of historical and social information. However, there is the third method of data gathering – sample surveys – which is applicable to social sciences. This also is now being increasingly embraced by historians concerned with economic and political history of a contemporary nature. Precisely, the data arising from surveys tends to be more amenable to quantitative and mathematical analysis, resulting in statistical tables, graphs and diagrams which are used by the social scientists to supplement and illuminate the more narrative accounts provided. 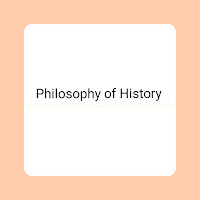 Also in history and the social sciences, there is the analysis which is more explicitly philosophical, i.e., analysis that results in the formulation of general theories concerning historical and social realities. 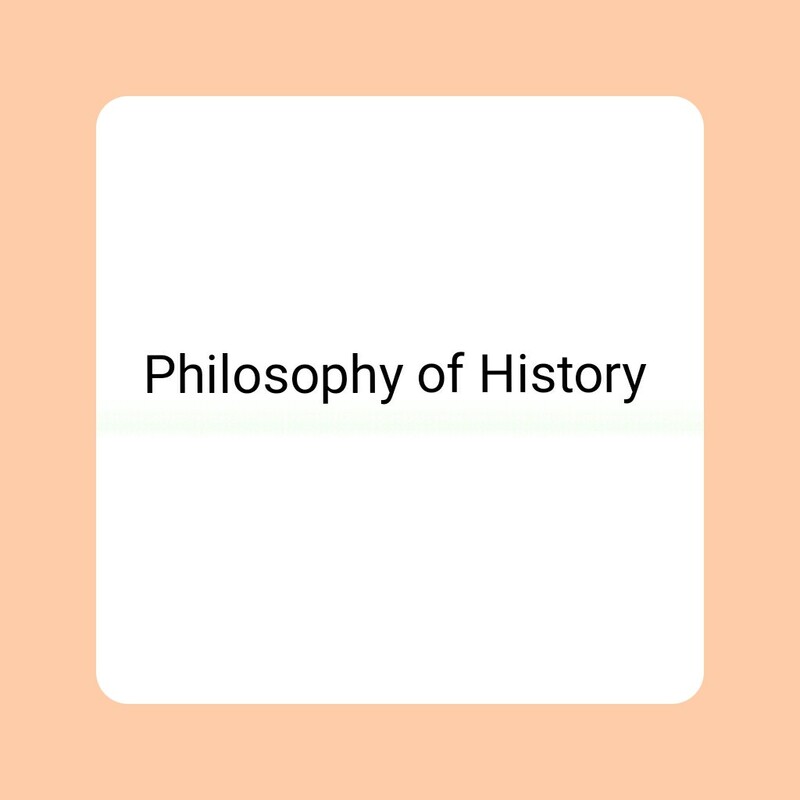 Lastly, we do find both historian and social scientist who, by using the method of inductive and deductive reasoning, produce works on the philosophy and theory of history and social sciences. It is important to point out, however, that there are more social sciences philosophers, than philosophers of history. First, one common use that both history and social sciences have, has to do with the possible insights that they can throw into the understanding of why things happen in society as they do. Both are committed to having a profound understanding of the present so that they can be in control of the existing (social) reality and predict future events with a reasonable degree of accuracy. Historians can retrodict into the past and implicitly predict the future course of events whilst social scientists can make use of the retrodiction and present reality to explicitly predict the future course – of events. This is why the ruling elite in most societies attach great importance to historians and social scientists. This, however, is also the source of a great deal of abuse. As a result of their ability they could be appointed (and were appointed) as consultants by the political decision – makers. The snag here is that they could and did provide analysis which is not in line with their perception of the truth, but one which must land support to the status quo. Abuses could also be seen in the whole commitment of history and the social sciences in the mid – 19th and early 20th centuries Europe to the idea of progress in history and society – the automatic forward move of the society. Progress pervaded the whole of historical and social sciences thought because of Europe’s success in worldwide imperialist expansion, industrial revolution and the apparent flourishing of parliamentary experiment. The Second World War, however, shattered this optimism. On the whole, our submission is that historical methodology and social sciences methodology have many points of convergence and belong to the same intellectual exploration of social reality whilst the sources of nature of their evidence are also similar. Also, historians and social scientists explore and use theoretical philosophical and moral bases for their analyses and interpretations. Also, the technical methods that they bring to bear on their collection and ascertainment of facts are very similar. Although, divergences occur, they are few and far between and are confined mainly to the use of statistical and quantitative models in the social sciences and their more explicit concern with the formulation and building of theories. The close affinities between historical methodology and social sciences methodology should not baffle us. For as Ibn Khaldun (in Muquaddimah) has shown, social sciences grew out of the older discipline of historical enquiry.